The Catapult offers a reliable and low cost solution to create a flexible tie-line system using existing shielded network infrastructure. 4 balanced analog or AES3 audio signals can be transported across the stage or between a studio recording- and control room. Available in six configurations, the Catapult features a choice of three input modules and three output modules. 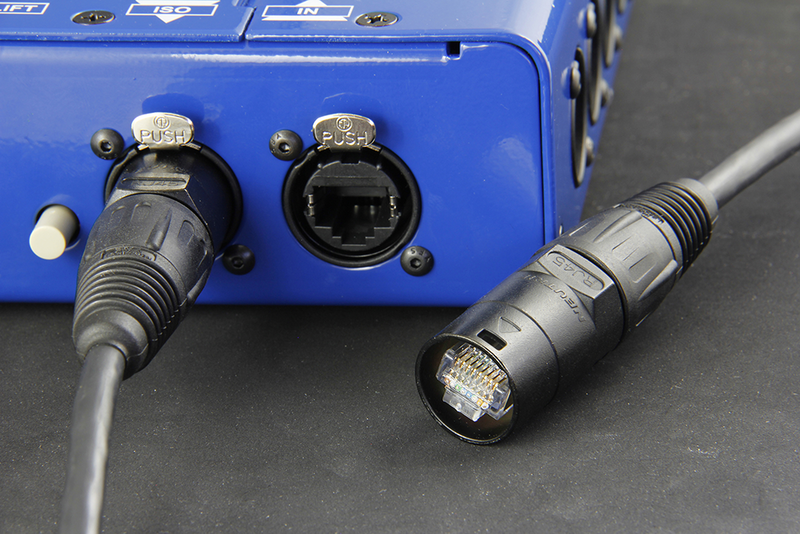 Each input module features four XLR inputs along with two Neutrik Ethercon outputs and four additional XLR outputs. Output modules feature Ethercon input, throughput and two sets of XLR outputs. 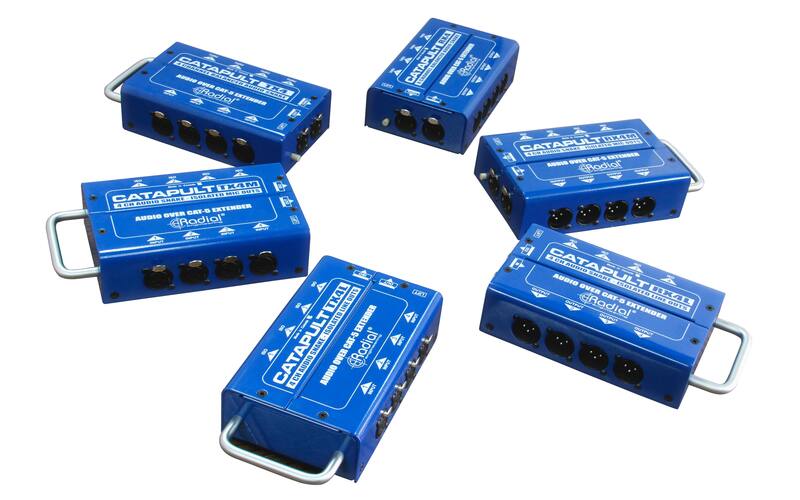 These may be ordered without transformers for sub snakes or to transmit AES audio signals; with mic isolation transformers for signal splitting between FOH, monitors or the recording system; or with line level isolation transformers to eliminate system noise. A ground lift switch is available at each end for the Ethernet cable connection to help eliminate hum and buzz caused by ground loops. As with all Radial products, the Catapult design begins with a heavy steel construction made to handle the rigors of live touring along with a heavy duty powder coat finish to keep your Catapult looking good for years! Protective bar around the connectors keeps things safe while providing a handle for carrying. Beside its shielding feature, the screening around the network cable also serves as the grounding for the balanced audio signals. Although not every setup has Shielded cable by default, using just one cable type for multiple purposes is a significant benefit. While a similar result can ofter be accomplished with a digital snake box, keeping your audio in the analog domain and free from any AD/DA conversion is a very clear thumbs up for the Catapult.